I recently received a letter and beautiful photos of the doll above, from a fellow crocheter named Shannon. 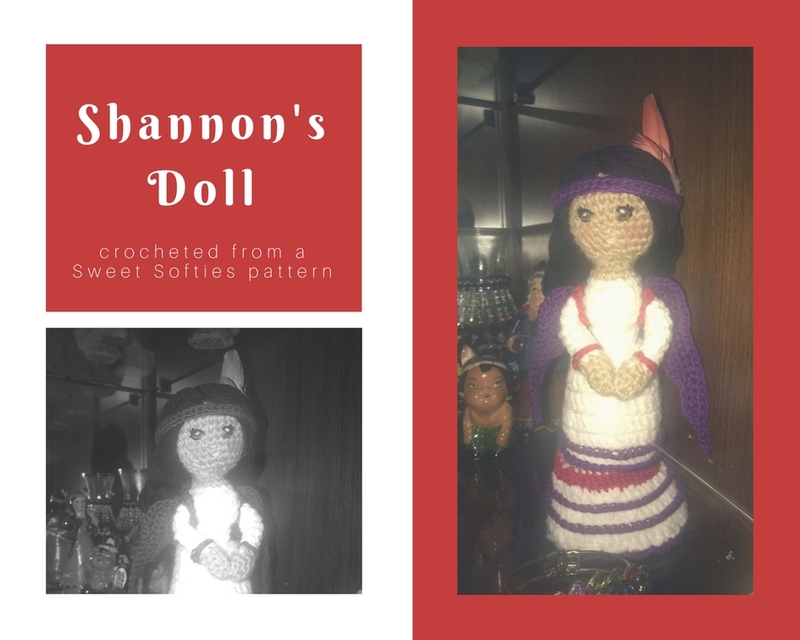 Shannon thanked me for my Christmas Angel pattern, which she used as the base for this doll. She mentioned to me how meaningful it was to her, as she modeled the doll after her mother, whom sadly passed a few years ago. Her mother's favorite color was purple, and her father's favorite color is red. Shannon combined those two colors in this doll's outfit, and gave it to her father as a heartfelt gift so that he would have his wife watching over him. This touches my heart so much! Thank you, Shannon, for sharing your amazing story. My warmest wishes go out to you and your family.